Primary Contact Description Anne Arundel County's Bureau of Waste Management Services is responsible for providing citizens with a wide array of solid waste services to ensure waste material collected is recycled or disposed in the most environmentally sensitive manner. 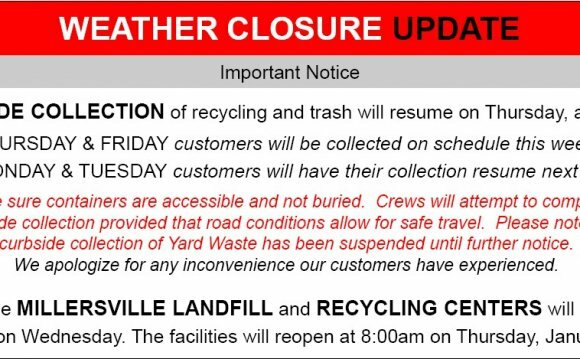 They offer curbside collection of trash and recyclables, operate and maintain one active and two closed landfills, and operate three Convenience Centers. In partnership with the Northeast Maryland Waste Disposal Authority, they completed construction of an LFG electricity project located at the Millersville Landfill and Resource Recovery Facility in Severn. LFG fuels two Caterpillar 3520 engine generator sets to generate 3.2 MW of electricity which is transferred to the power grid and sold on the energy market via the PJM Interconnection. The project became operational in June 2012.